Okay, I don’t really do the whole formal New Year’s resolution thing. But at the beginning of each year, I like to reflect and determine what goals I would like to accomplish in the months ahead, including the long-running “get in a more regular workout routine” and “achieve a higher state of organization at home.” Will these goals ever be complete?! Probably not, but each year I recommit to try to at least improve. In addition, I’ve decided that I’m also going to make an effort to follow-through on a few very doable goals. 1. Get a massage once a month. ONCE a month. This is totally doable, right? Why is it that I haven’t had one in seven months? I even have a membership, but don’t take advantage of it. 2. Experiment with new ways to wear my hair. Nothing extreme or anything, but isn’t the tuck-under, faux bob cute? And no haircut commitment. I love how Rachel Bilson’s “bob” looks. Here’s an easy way to do it. 3. Clean out and shop my closet. This is another one of those ongoing goals, right? My closet is pretty organized but way over-stuffed with things I need to say good-bye to. I’m putting an extra twist on my motivation factor this year — I’m not buying anything new to wear until this happens. Yes! By the way, have you heard of eBay Valet? You pack up your things, send it all to them and they sell it for you. Totally trying this. Of course, there are several great local consignment stores in Phoenix too, like My Sister’s Closet and TBC Consignment. 5. Workout for 30 minutes before 9:00 a.m. on weekdays. This means get on my elliptical, go to a spin class, or walk the dogs — anything in this arena counts. My computer officially doesn’t exist until I’ve done this or all of a sudden it’s school pick-up time and the workout doesn’t happen. Oh, and I better buy some new workout clothes to kick-start things a bit. After all, workout wear doesn’t count in the “shopping moratorium until I clean out my closet”… they are a need, not a want. Right?? 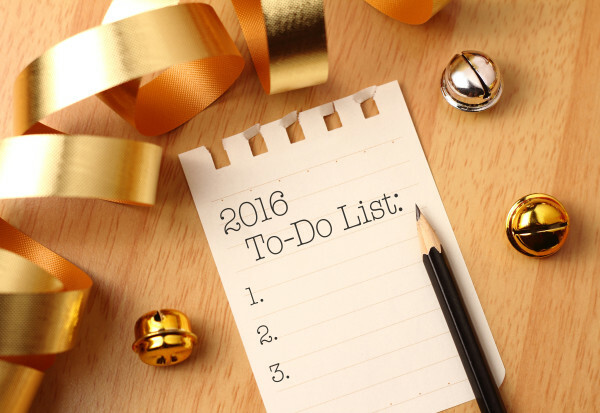 Are you setting “goals” for new year? Share with me! Especially if you have any great tips. Mom Challenge: Swap Your Sweats! Ask Our Style Techs | Too Old for Knee-High Gladiators?